I never liked Tau much, Crisis Suits are cool (with foot mods) and I really like the new Broadsides. The Stormsurge looks like a DUST Axis Walker...which makes me like it a lot. 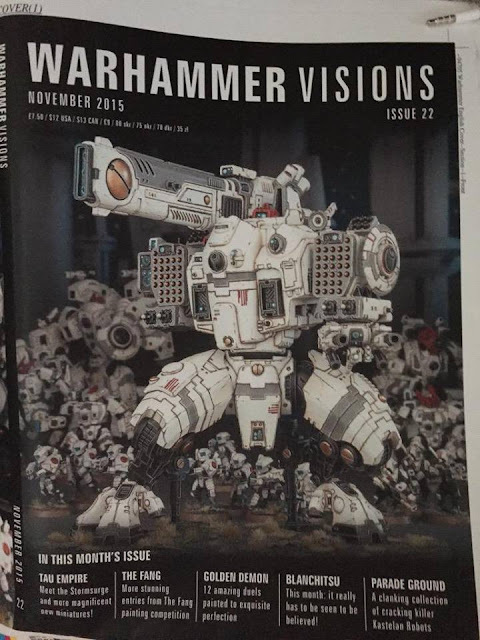 The new Firewarriors look like Stormtroopers! I'd be so tempted to make a small Allies army with a Star Wars Imperial theme...if we ever played 40k around here anymore. 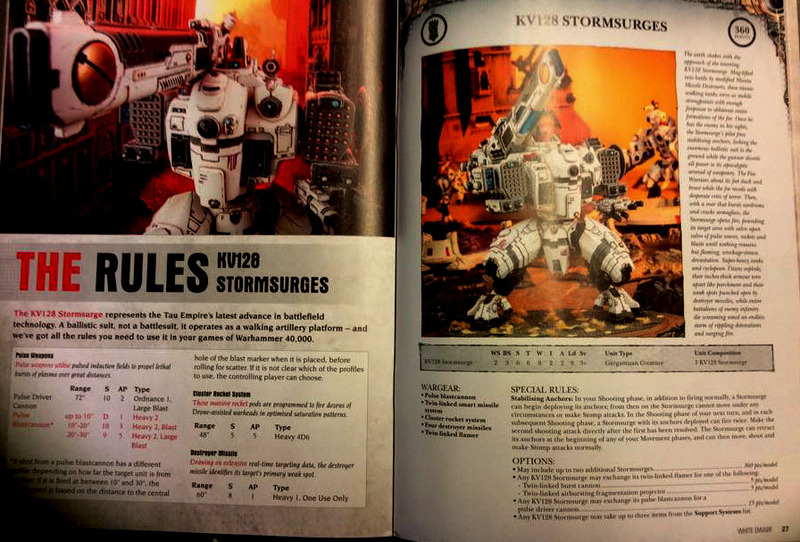 Re: Tau nice, something new! Meanwhile, Sisters of Battle languish in obscurity. It looks dumb AND has the D AND is a better GC than Tyranids for like half the points. Looks like this thing will be tough to kill quickly. Thank goodness for instant death weapons. T6 8W and a 3+ ain't what it used to be. Back in my day, people used to think T4 Orks were impressive. Now you fish heads, get off my lawn! Spores are growin' there.